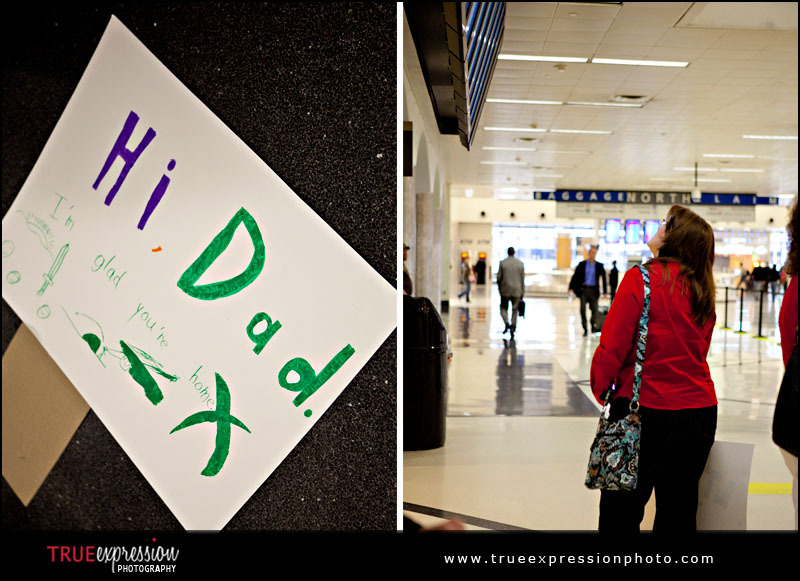 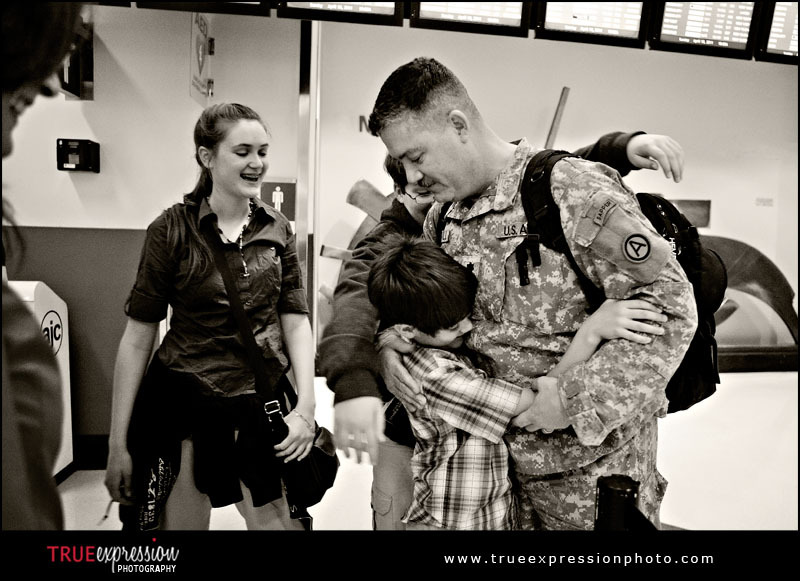 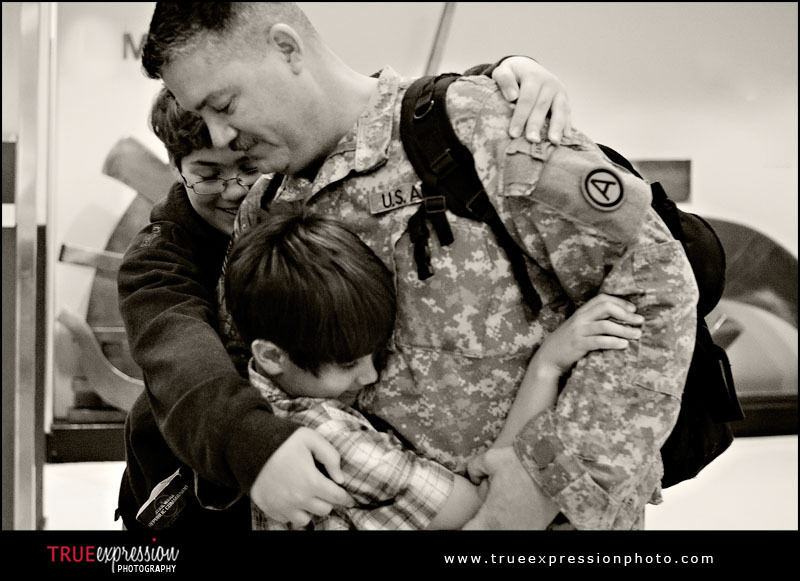 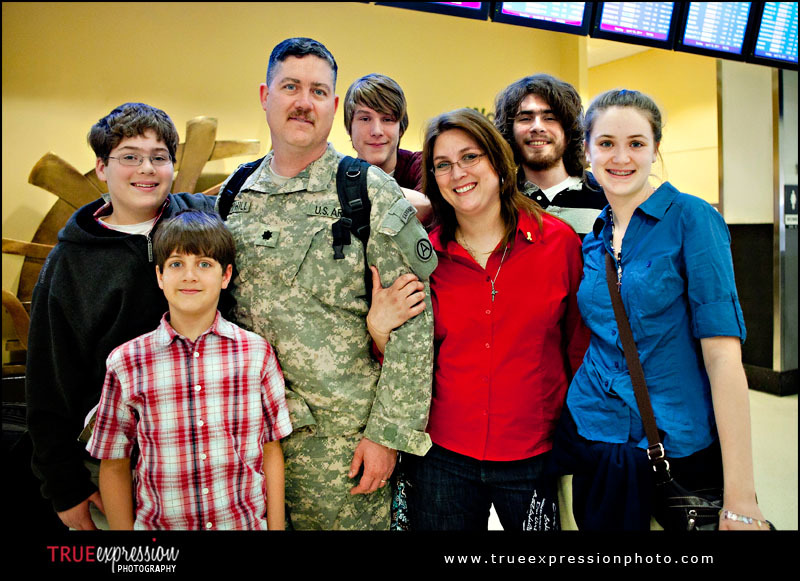 Andy arrived home Sunday morning after a year in Kuwait, and was welcomed home at the Atlanta airport by his wife, Melinda, and their five children. 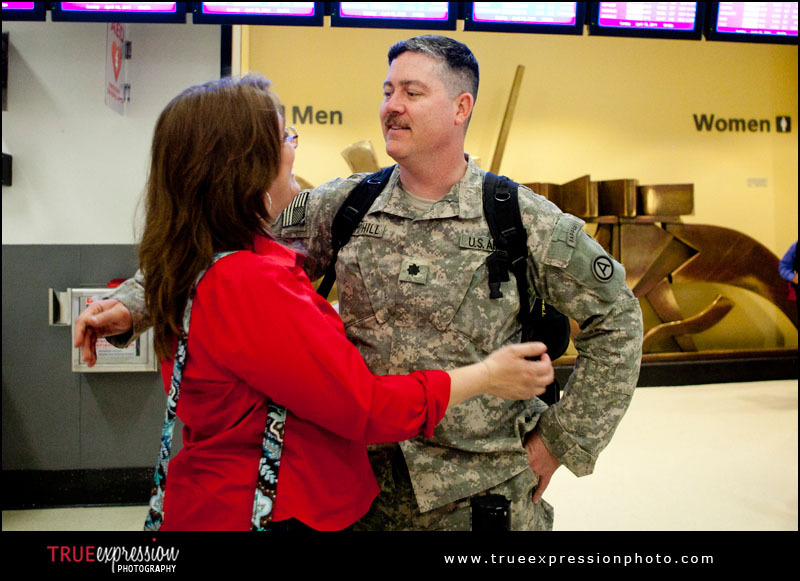 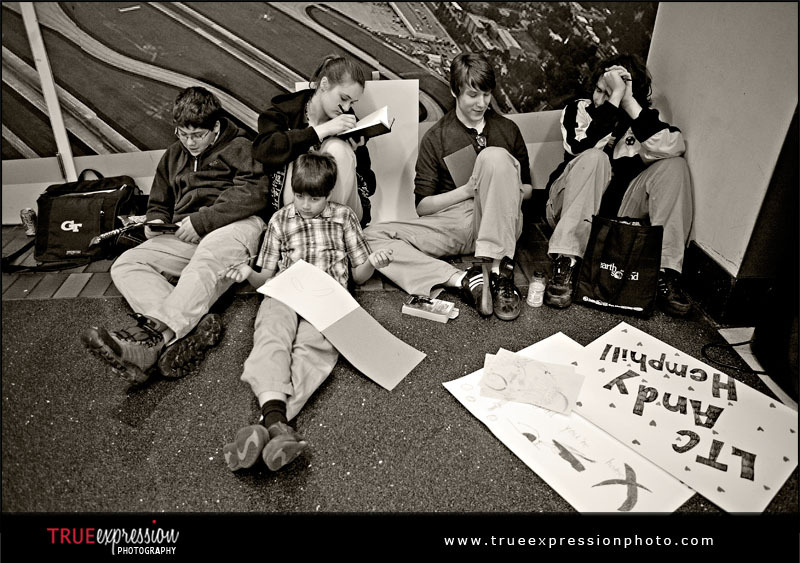 His family arrived at the airport at 6:00 am and waited there for nearly four hours, alternating between checking the arrivals board for information and looking for Andy's face in each group of people stepped off the escalators. 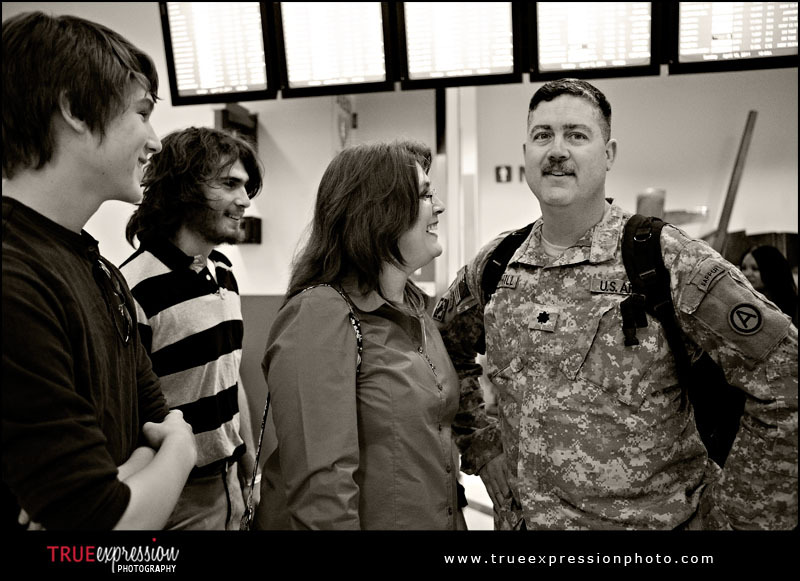 Suddenly, Melinda look to her right, and there was Andy standing next to her and the rest of the family gathered around to hug their dad.